Do your windows look a little bare? Perhaps a crochet window treatment will help. 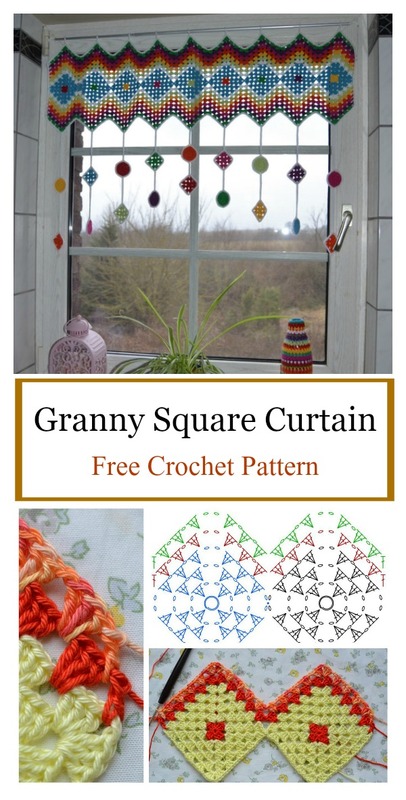 The Granny Square Curtain Free Crochet Pattern will make the perfect curtains to instantly beautify your space and add some style to your decor. It is fun to work up. As you can see on this picture, the pattern did a perfect work. You can easily adjust the pattern to your window size by adding additional rows and rapports. It’s chic and modern, you’ll love the final result. You can make a few to change up the curtains and get a fresh sense of design into your space every so often. Happy crocheting. You might also like Flower Valance Window Curtain Free Crochet Pattern.